Michaela Bercu wears Perry Ellis by Marc Jacobs, Vogue, November 1989. Image: Fashion Model Directory. 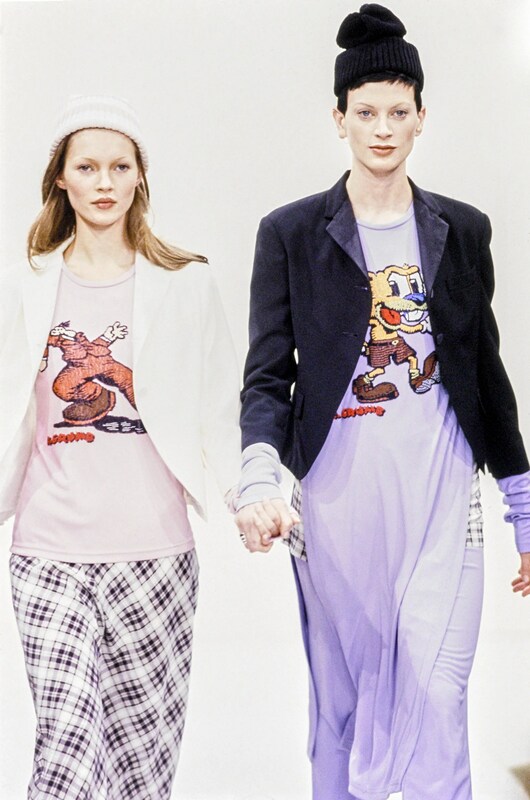 Can you believe the early-nineties revival in fashion right now? 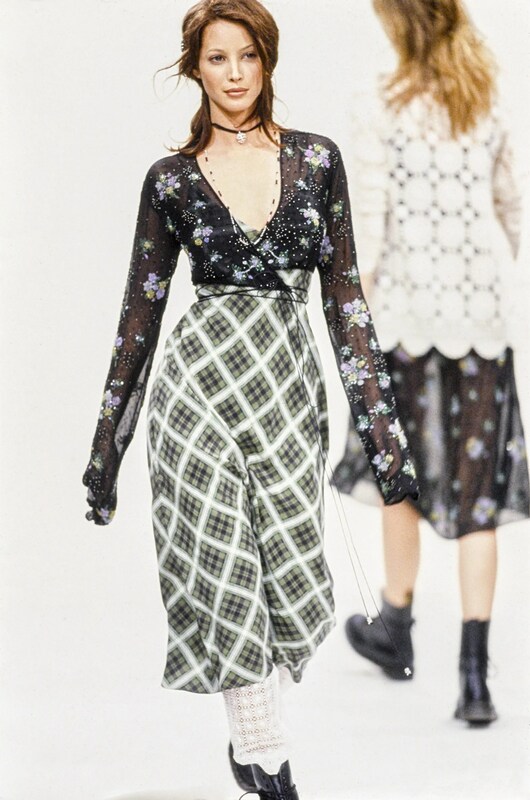 We remember Marc Jacobs’ ‘grunge’ collection for Perry Ellis as a turning point in ’90s fashion. It’s easy to forget that Jacobs had been designing for Perry Ellis since the late 1980s. It was Perry Ellis who persuaded Jacobs to enrol at Parsons and, before his death, Ellis had said he wanted Jacobs and his business partner, Robert Duffy, to join his company. Jacobs and Duffy were hired in 1988, and Jacobs presented his first collection for Perry Ellis, for Fall 1989, at the Puck Building in Soho. 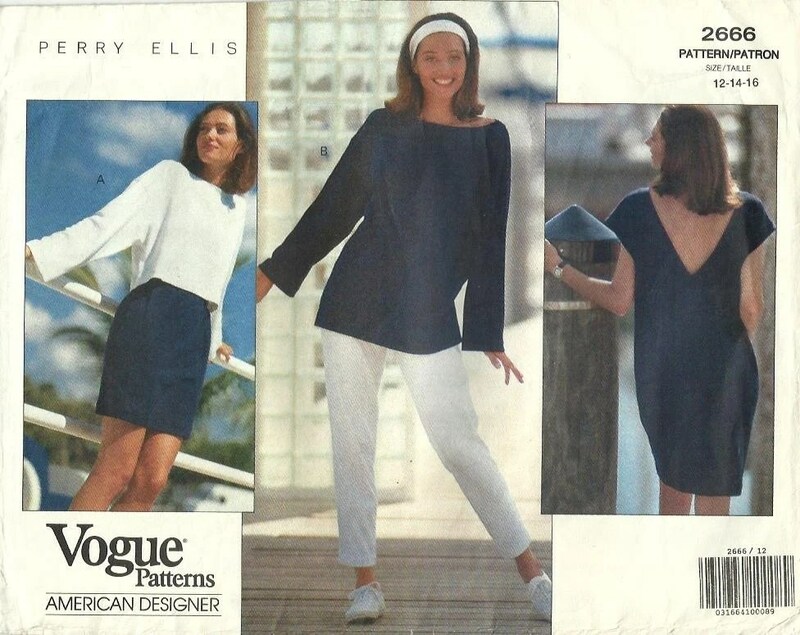 Vogue Patterns’ licensing agreement with Perry Ellis lasted into the 1990s: the company’s Perry Ellis patterns from the 1990s represent some of Marc Jacobs’ earlier work. 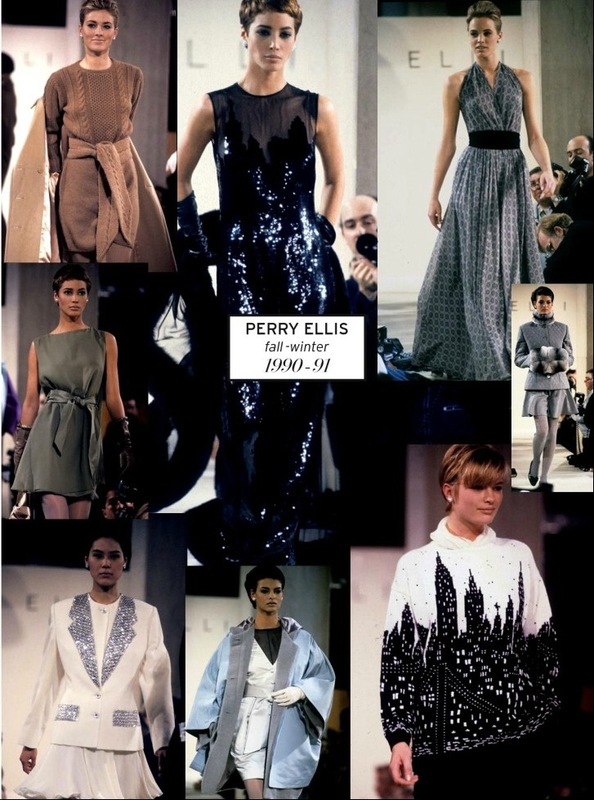 Here’s a selection of Perry Ellis patterns by Marc Jacobs from the early ’90s. 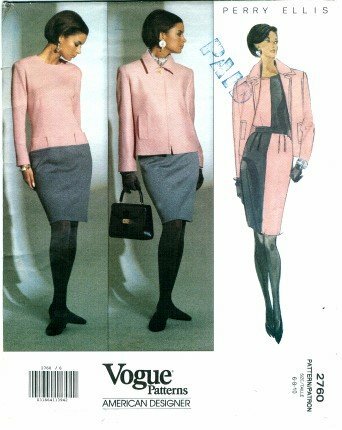 Vogue 2475 Marc Jacobs for Perry Ellis (1990) Image: eBay. Marc Jacobs in Vogue Patterns magazine, March/April 1990. Image: eBay. Pure Perry Ellis. 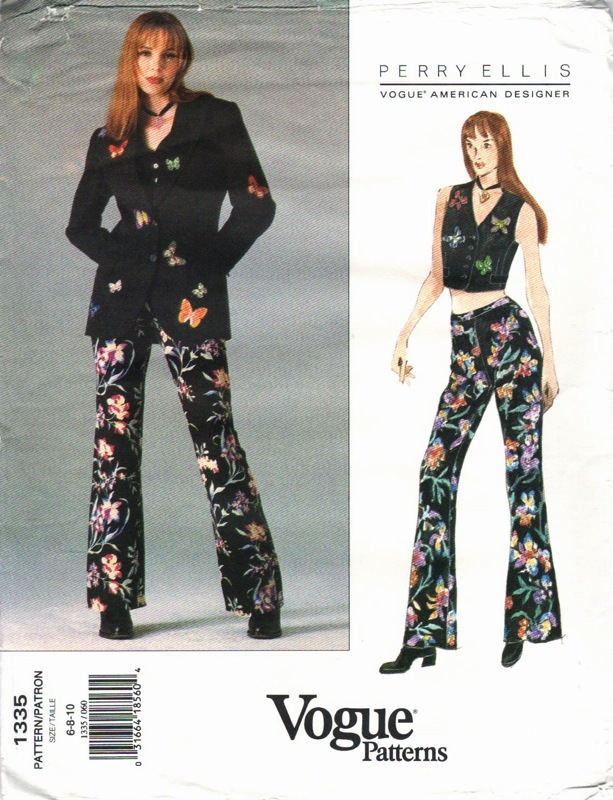 Vogue 2475 and 2474 in Vogue Patterns magazine, March/April 1990. Image: eBay. 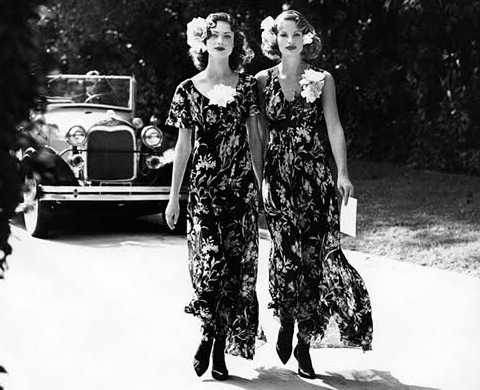 Marc Jacobs with model in Vogue 2474 and 2475, Vogue Patterns catalogue, June 1990. Image: Karsten Moran for the New York Times. 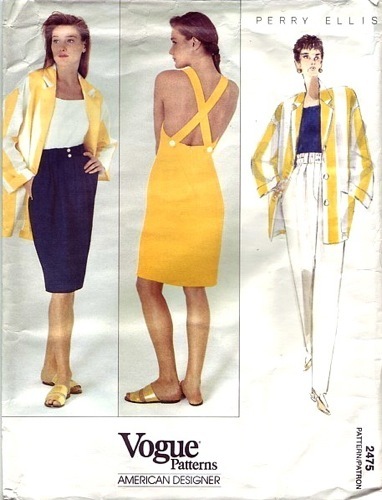 Vogue 2665 by Marc Jacobs for Perry Ellis (1991) Image: patronescostura on Etsy. Vogue 2666 by Marc Jacobs for Perry Ellis (1991) Image: patronescostura on Etsy. Marc Jacobs for Perry Ellis, Spring/Summer 1991. Image: jalougallery.com. Marc Jacobs for Perry Ellis, Spring/Summer 1992. Image via jalougallery.com. 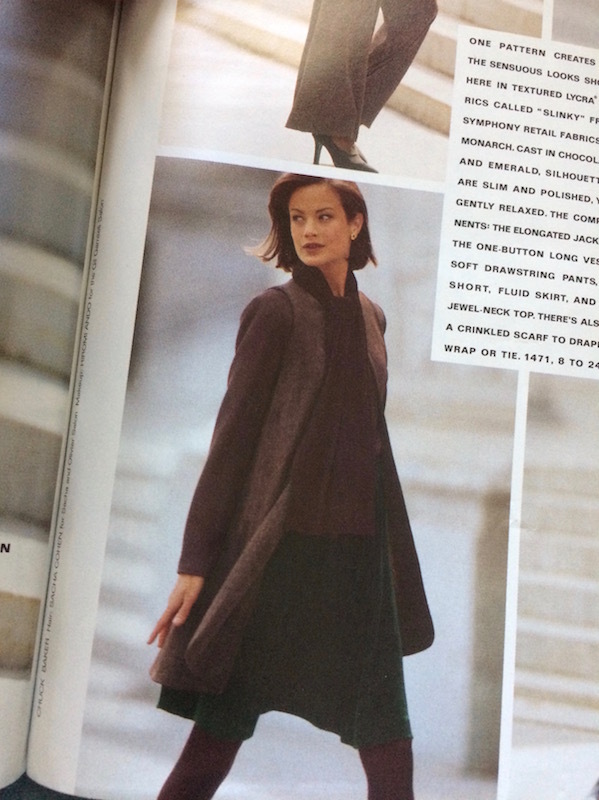 Vogue 2760 by Marc Jacobs for Perry Ellis (1991) Image: Amazon. Marc Jacobs for Perry Ellis, Fall/Winter 1990. Image: jalougallery.com. 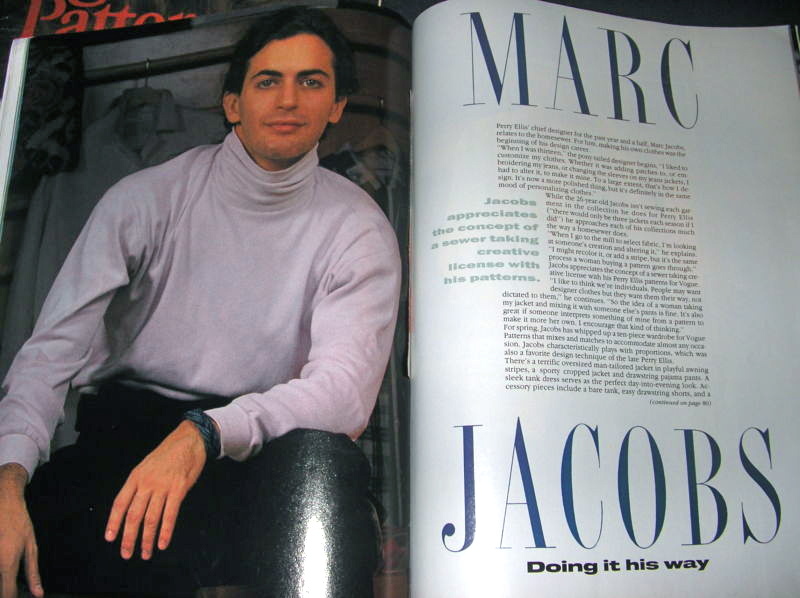 In retrospect, the headline for Vogue Patterns’ 1990 interview—“Marc Jacobs: Doing it his way”—is ironic considering the circumstances of the designer’s firing after his Spring 1993 collection for Perry Ellis. 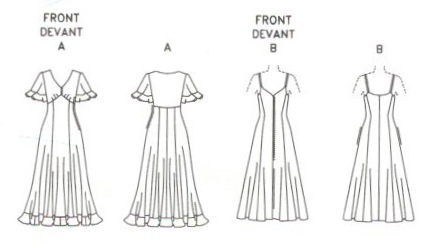 You can see more early Marc Jacobs designs for Perry Ellis in L’Officiel 1000 modèles’ 2012 hors-série issue devoted to Marc Jacobs. 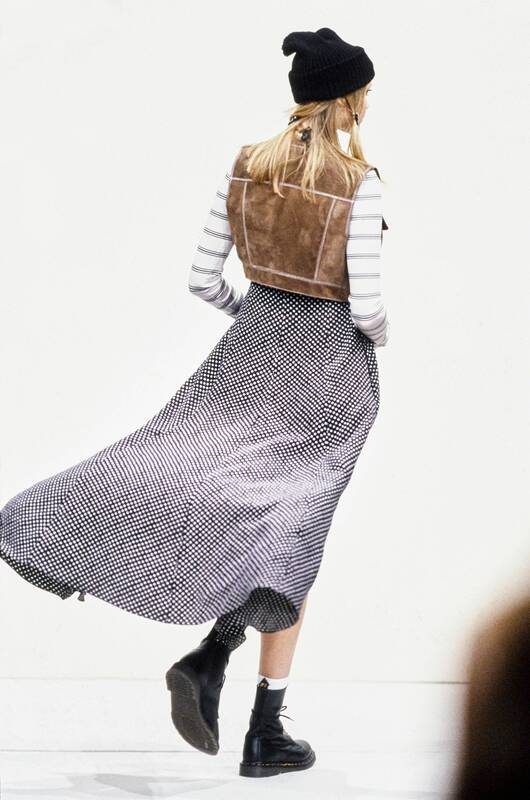 Next: Marc Jacobs’ ‘grunge’ collection for Perry Ellis.